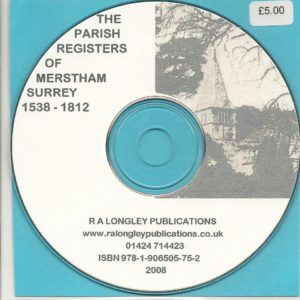 The Complete Parish Records for Godalming, Surrey, for the years 1582 to 1688. 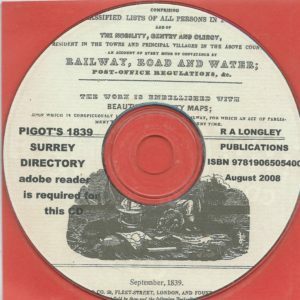 CD produced by Surrey Parish Register Society. 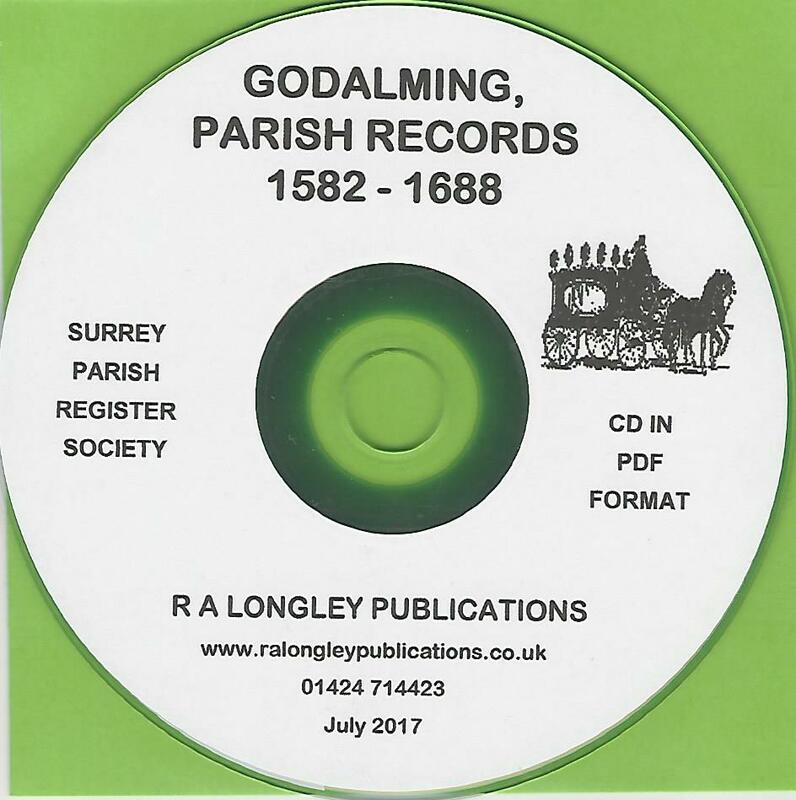 The parish records for Godalming for the years 1582 to 1688 reproduced on CD.